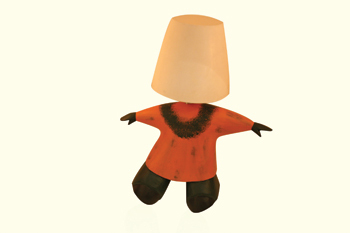 Table lamp ... for the children’s room. UNITED Furniture, a leading furnishings outlet in the UAE, has introduced a wide range of wooden accessories to enhance the aesthetics of homes and surroundings. The new collection consists of showpieces carved out of wood, attractive lamps, funky wooden mirrors, frames, elegant units and fancy wooden vases. Commenting on the new range, Anup Ravindranath, sales director at United Furniture, says: “Wooden furniture and accessories have continued to beat the changing times and trends of modern interior design and room decorating with various hues, from year to year and season to season. United Furniture offers a wide range of furniture, including sofa sets, luxurious bedroom sets, dining tables and chairs. It also offers colourful accessories and furnishings such as vases, cushions, showpieces, lampshades, mirrors and frames. Apart from these, United Furniture has products for gardens. The company focuses on sourcing the best products for its customers. Croma Select ... slender design. GERMAN bathrooms specialist Hansgrohe SE says it has set new standards in price and performance with its innovative Croma Select range, which now features its clever Select technology. The hand showers allow a choice of sprays at the touch of a button which, along with their easy handling, make for a more enjoyable and pleasurable experience in any bathroom, says the company. 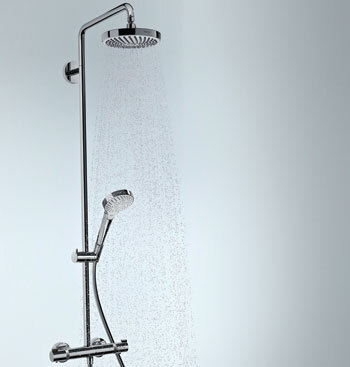 The range is available in three model and the showerheads are available in two different designs, round (S) or square with rounded corners (E). The Croma Select Multi hand shower offers individualised showering fun with three different spray types: a soft rain shower, a powerful IntenseRain mode and a pulsating water jet massage. The Croma Select Vario hand shower can regulate the spray intensity, from a soft rain shower to the forceful TurboRain mode. An inexpensive option suitable for use in the bathtub, for example, is the single-jet Croma Select. Croma Select hand showers have a gleaming chrome finish and the spray face is available in white or a combination of white and chrome. The new Cyprum finish ... elegant. 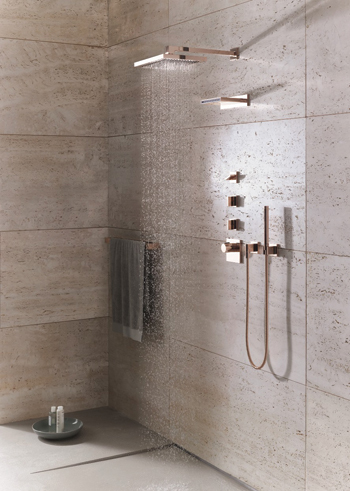 IN LINE with the increasing trend to use copper, Dornbracht has extended the choice of finishes for its MEM series of bathroom fittings. The new finish, ‘Cyprum’, is a highly reflective material made from 18-carat fine gold and genuine copper, imparting a pink gold hue to the fittings that exude elegance, luxury and sensuality, according to a spokesman for the German manufacturer of high-end fittings and fixtures for the kitchen and bathroom. “After several years of interior design being dominated by cool whites and metallic, such as silver, steel and aluminium, the warm and glowing hues of pink gold and copper are now experiencing a renaissance. Symbolising elegance and beauty, the finishes also bring warmth into the home,” says the spokesman. “Eleven years after the introduction of MEM in 2003, this fitting series now beams with a fresh glow: Dornbracht has revised the formal aesthetic elements of the series, adding products in the process and creating a new highlight in 18-carat gold in the new ‘Cyprum’ finish in pink gold,” he adds. “The name Cyprum is inspired by the Latin name for copper, ‘cuprum’. Initially, Cyprum will be available exclusively for MEM, and later made available for other selected series,” the spokesman explains. Along with the introduction of Cyprum, the MEM series has been enhanced with a completely new product type for Dornbracht: a free-standing bath mixer with flow spout, and a hand-held shower head. It is also complemented by a three-hole mixer for the edge of the bath. The form of MEM has been finessed in its design and functionality. True to its guiding design principle keeping everything to the essentials, but without eliminating “the poetry”, Dornbracht has adapted the proportions of the fitting while reworking the body of single-lever mixers, bidet fittings and the lever design for all MEM lever variations.